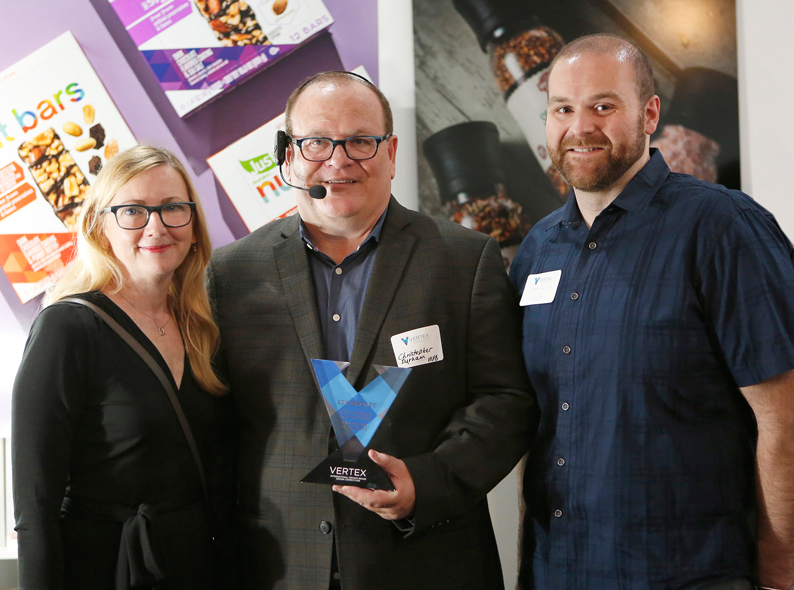 We were honored to receive a Vertex bronze award for our private brand package design for the Fairway Grass-Fed Milks at the Vertex Awards Pop-Up Exhibit last week in New York. “This event says a lot about how much private brands have developed,” said Christopher Durham, president of My Private Brand, and co-founder of The Vertex Awards, who was master of ceremonies. “It isn’t about I’m cheaper, or just as good, it’s about I’m awesome.” The exhibit showcased a curated collection of North American honorees from the more than 70 global winners in this year’s Vertex Awards. This is the fifth year for the global competition that honors private brand packaging design. Private brand programs are redefining the grocery customer experience. Retailers are leveraging the power of quality private brand products to transform product-first marketing into an experience, linking therir private brands to the shopping experience in their stores. Building a family of store brands that are differentiated, that speak to a consumer’s needs, gives consumers compelling reasons to shop your stores, building loyalty and setting you apart from competitors. This year’s Vertex winners demonstrate that great package design is now the price of entry for private brands that want to compete and win. ← Is great package design the silver bullet?